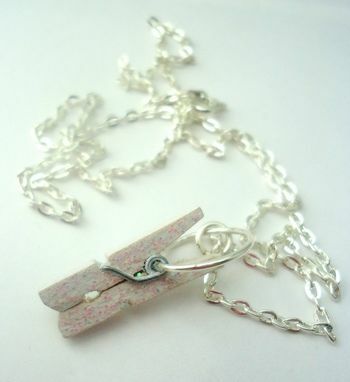 Convey exactly how you feel with this fun clothes pin necklace! 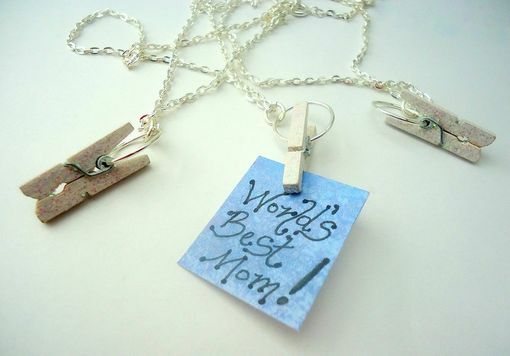 The glittery clothespin is functional and allows for personalized interchangeable messages to be displayed! 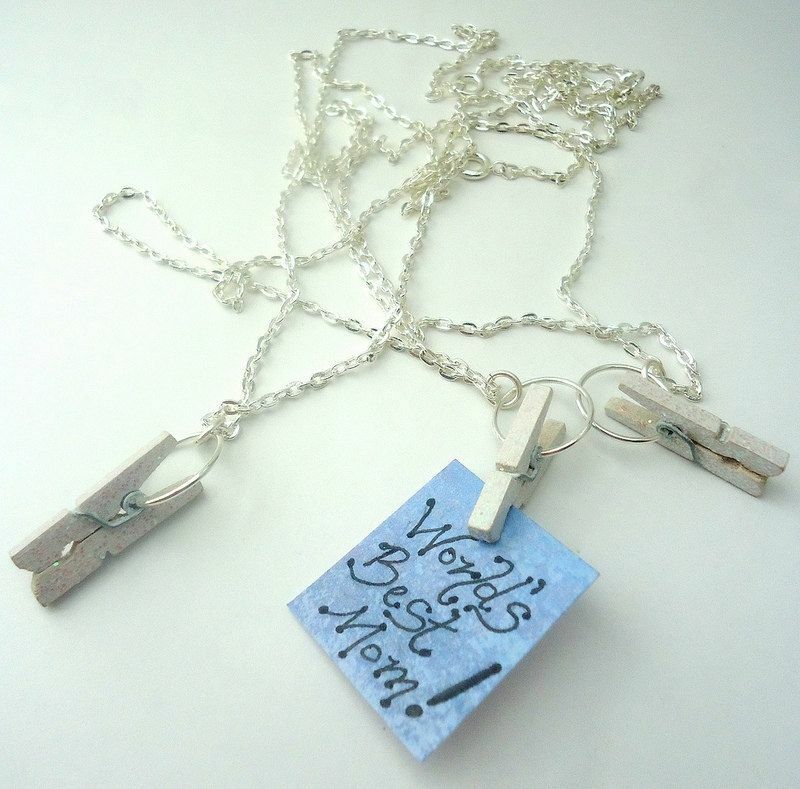 Each necklace comes with one personalized paper message in any shape, color, size, and wording (please indicate your preference in the buyer's notes). 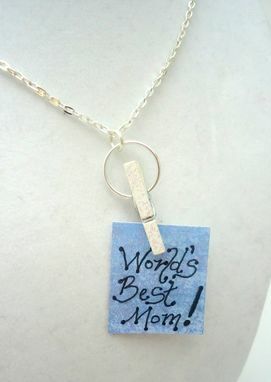 The example says, "World's Best Mom! ", which would make a great mother's day gift. And when the seasons, holidays, or your feelings change you can add a different message! 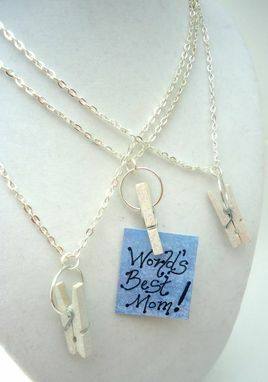 The clothes pin pendant measures 1 1/4". The chain measures 18 1/2" in length and closes with a spring ring clasp. I will refund all shipping overages of $2 or more!